It is hard to believe that April is quickly coming to a close and on Monday it will be May 1st!! In many ways this month has flown by hasn't it?!? Today I wanted to share a roundup of all of my fashion posts from this past month! There were so many adorable items that I found that I wanted to do a roundup post for the month! Last week I shared 5 adorable white and blue tops that I had found from the ASOS website. If you have been around the blog for even a short while than you know that I love ASOS. One of my favorite tops was definitely the Miss Selfridge Tie Shoulder Top! I love the easy look of summer of it and it really is so cute! Another one of my favorites tops from that same post was the ASOS One Shoulder Top in Cotton - White top! So many one shoulder tops right now and this one is absolutely no exception of being cute and adorable. 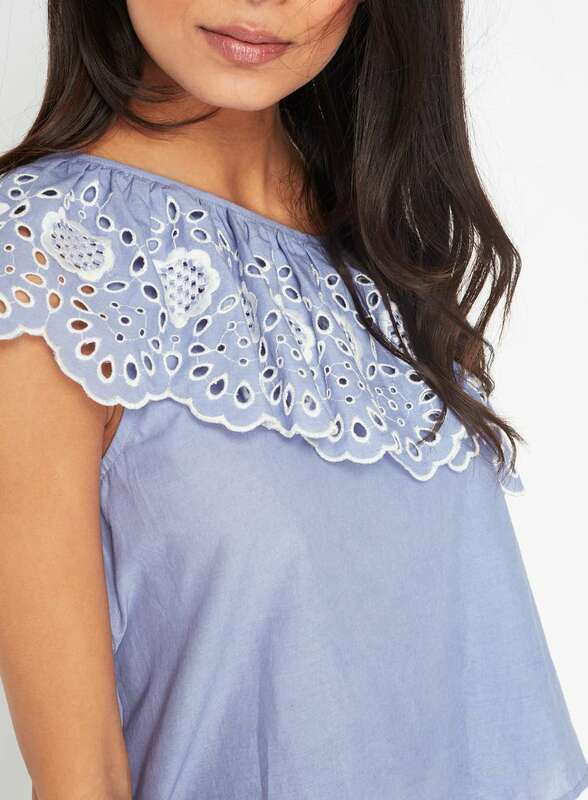 Finally, this adorable Miss Selfridge One Shoulder Cutwork Top - Blue top was another favorite from the post. To see all five of the tops you can read the post HERE! 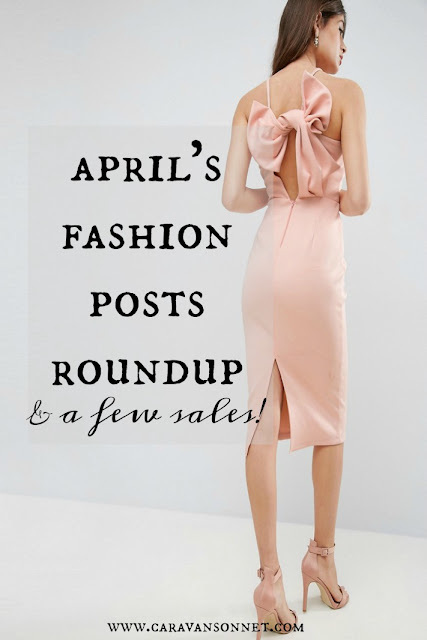 Earlier in the month I shared a post about 5 cute and affordable Easter dresses that you will want to wear all Spring and Summer. This was a really fun post to write and I know several of you commented on some of your favorite pieces, including this LOFT Eyelet One Shoulder Dress. Guess what?!? This dress AND everything at LOFT is now 40% off (simply use the code OHGOODIE)!!! Yea! It is selling out fast so quickly head on over to shop by clicking HERE! (AND don't forget that you can receive $25 Off Your Entire Order with Email Signup! Another favorite from that same post was this SheIn Lace Cami Dress. I have seen so many dresses that have this look this season but they are so expensive! I was thrilled to see this SheIn dress for $50. It comes in sizes small through large. You can find it in the lace dress section at SheIn by clicking HERE. Finally, this This beautiful Yoana Baraschi Pepin Sheath dress from Rent the Runway was an a absolute favorite by so many of you and I totally agree. The dress looks absolutely gorgeous and would be the perfect dress to continue to wear throughout the Spring and Summer for date nights or to attend weddings. 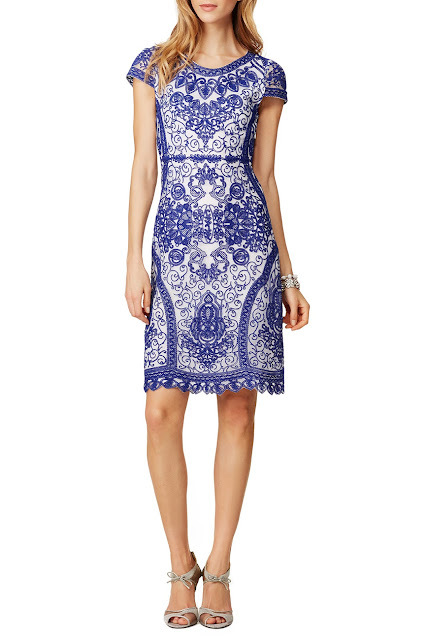 It reminds me a bit of the dress that Princess Kate wore in India last year and I love the details on this dress. Rent the Runway has the dress available in sizes 0-12. Looking for a larger size? Rent the Runway has tons of adorable and cute plus size dresses available. You can find the plus size section by clicking HERE. Finally if you are still looking for some adorable sandals to wear this season check out my post a few of my favorite sandals from ASOS which you can find HERE! And finally- y'all coming next week I am SO excited to announce a special project that I have been working on for the last several months relates to my love of fashion! Stay tuned for this exciting announcement!! I hope y'all have a wonderful Friday and a wonderful weekend! The weather has been warm here recently and I am hoping to spend a lot of time outside!